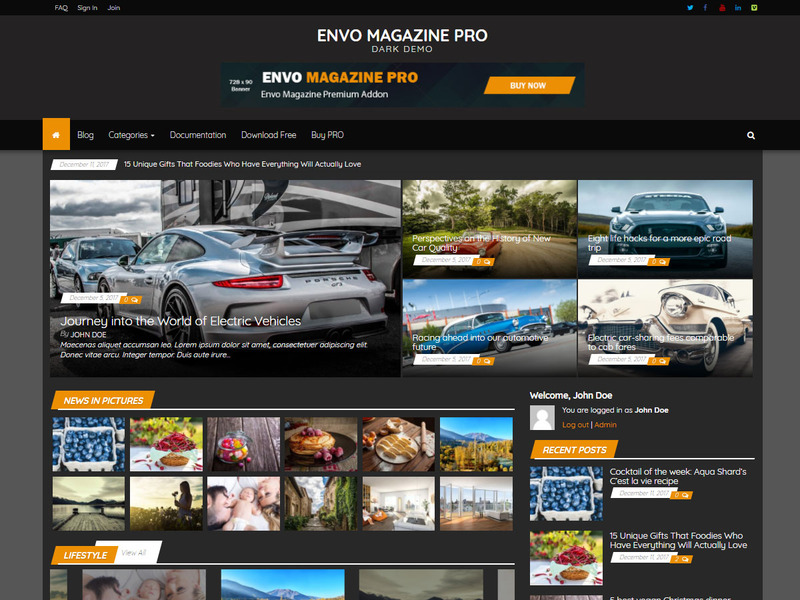 Customize your Envo Magazine theme look to your needs and speed your loading times. 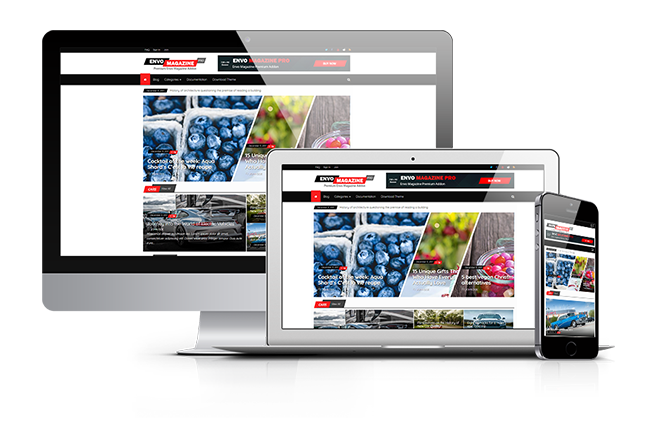 Lazy load images dramatically improve your webpage load times. 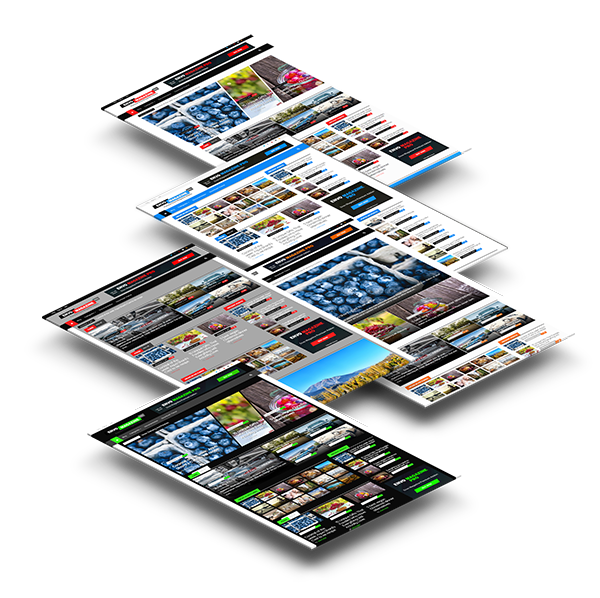 The PRO plugin comes with more additional 12 new widgets. With footer editor option you can change the footer copyright information with your texts. Replace your post or page featured image with videos or music. 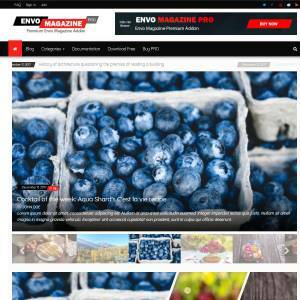 Envo Magazine is fully responsive and will adapt itself to any mobile or tablet device. 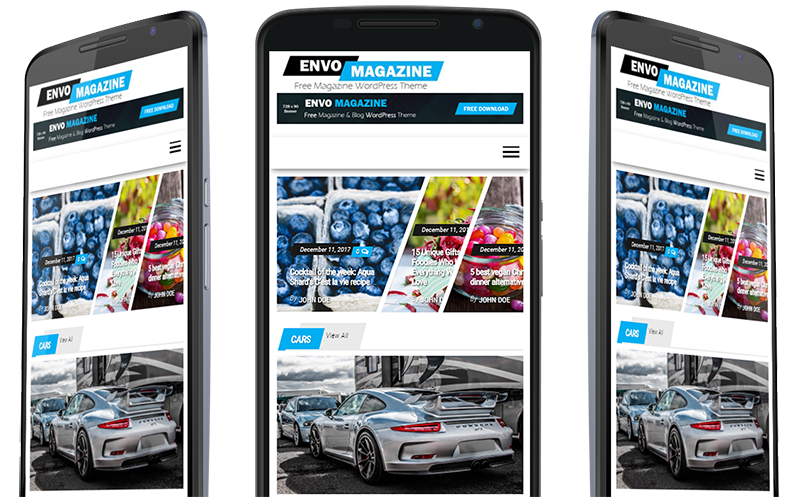 Envo Magazine adapts to your device, whether it is a laptop/desktop or smartphone (iPhone, Android) or tablet (iPad). It will allow you to quickly edit everything instead of creating content from scratch. Put your advertisement images before and after posts and page or below the main menu. 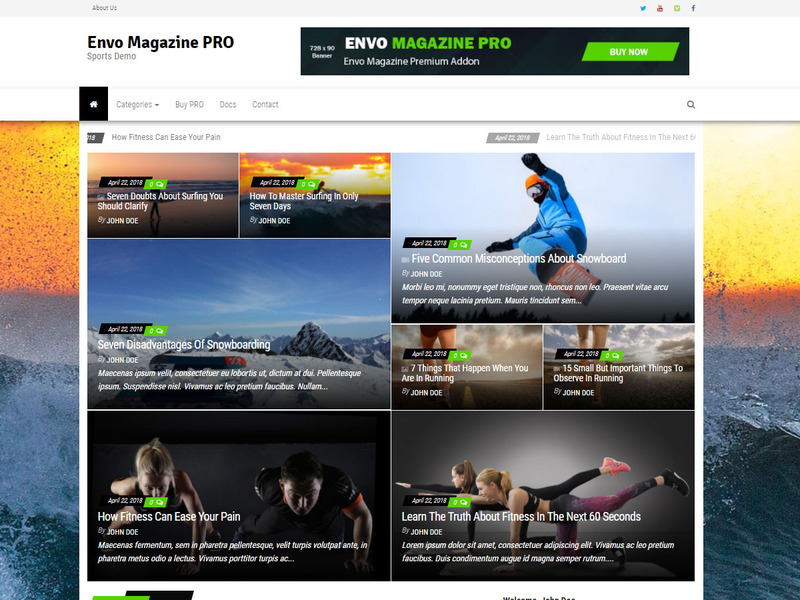 You can translate the Envo Magazine into the language of your choice. If your language is one of those which are written from Right to Left. No worries at all, there is built-in RTL support. 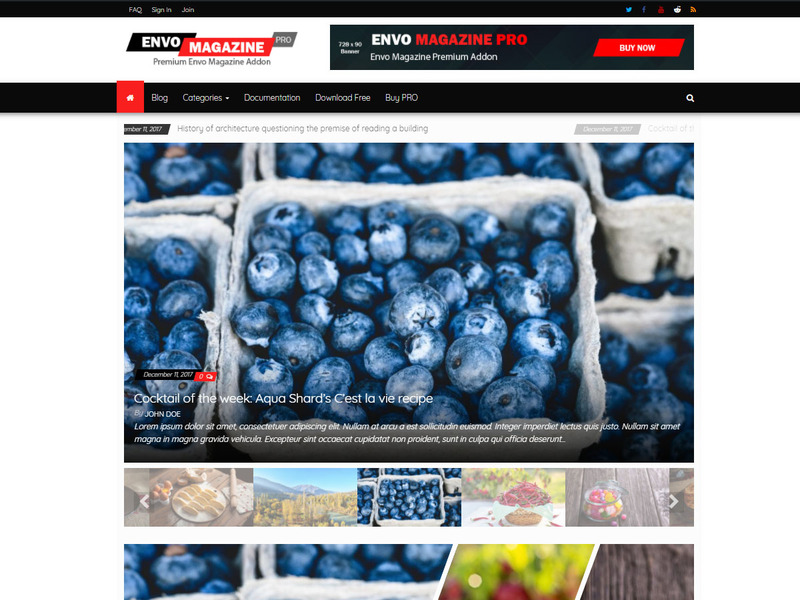 Envo Magazine theme is fully compatible with WPML plugin in case you need to create a multilingual site. 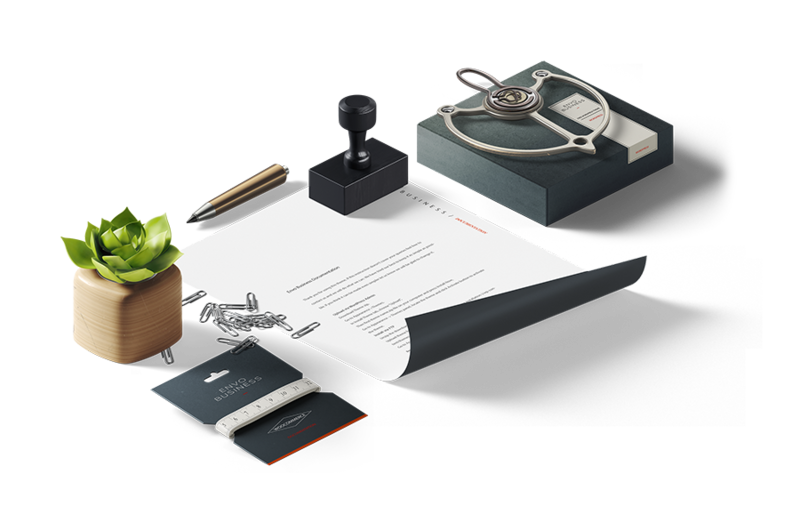 We provide clear documentation. 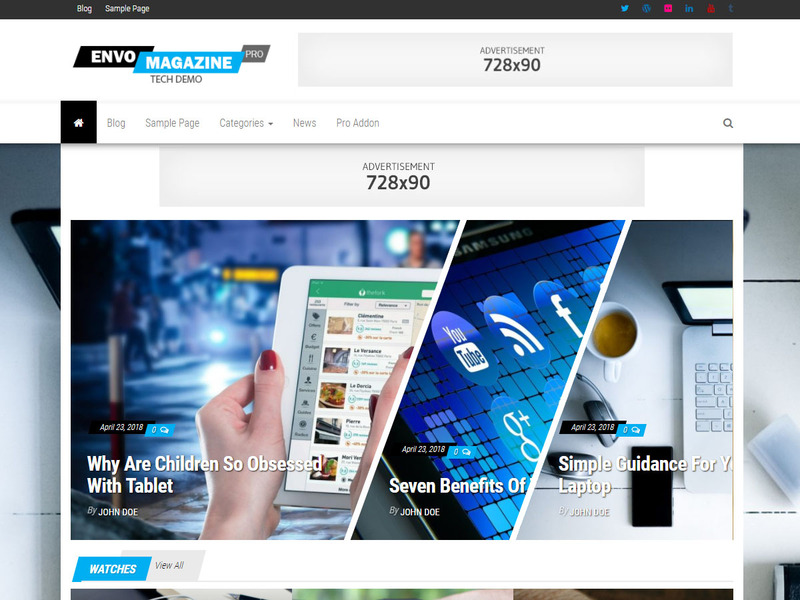 The theme & plugin instruction will tell you how to use the theme & plugin features step by step. 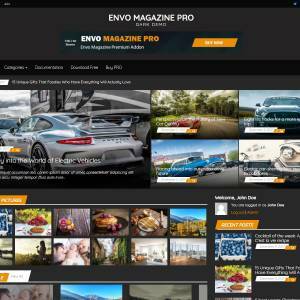 Our video tutorials will tell how to use this Envo Magazine and all theme & plugin features.